Over 18 years of multifaceted experience including development, design, business analysis and project management working directly with clients in a consulting capacity throughout the full software development life cycle. Specialties: iOS application development. Fluent in Objective-C, Swift, PHP, MySQL, Perl, HTML, CSS, JSON. Great UI and architectural design skills. Performance testing and profiling. Unit testing, Agile and Scrum. Hi I’m Brian. I’ve been developing apps for iPhones and iPads since Apple first created the App Store and opened the iOS platform to 3rd party developers in 2008. 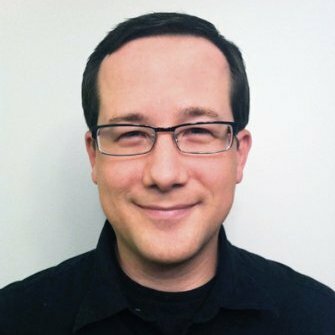 I'm a Lead iOS Developer from Toronto with over 18 years of multifaceted experience including development, design, business analysis and project management. I’m also an Entrepreneurial App Developer & Consultant. My client work is exciting and diverse. As well as being a very experienced coder I’ve also attained a wealth of knowledge of consumer and enterprise app distribution and am regularly commissioned to consult and help clients make the most of the incredible Apple technologies that have become such a core part of our culture over the last 8 years. I’m excellent at communicating with clients, developers and designers (those with and without technical knowledge). I listen and pride myself on a strong attention to detail. These qualities have helped me to win trust and work for best-in-class companies such as Yahoo! Canada, General Electric, Ogilvy & Mather and Rogers Communications. Alongside work-for-hire I also love developing my own indie apps and games. My first taste of App Store success was a game I developed called Connect Poker that notched up half a million downloads and was ranked #1 Card Game in over 12 countries. Since then I’ve launched a series of photography apps like Travel Bomb, another game named "Cheapo Casino" and most recent "Classix" that has been constantly featured by Apple in the U.S. and Canada for over a year on Apple TV, iPhone and iPad. I’m a native iOS Developer – I code iOS Apps using Xcode, Swift & Objective-C. I’m also adept at coding a range of complimentary server-side technologies such as Perl, PHP, and MySQL. I’ve worked on a great variety of projects from freemium and paid apps through to enterprise apps for businesses. If you have an interesting project I’d like to hear from you. Get in touch and we’ll arrange a coffee over Google Hangouts or Skype!